Introduction by President Greg Maxwell (Magrath Alberta Stake): Early in 2018, the Magrath Alberta Stake agreed to be a beta-stake that would have prospective missionaries receive their mission calls by email. A number of other international stakes are also piloting this approach. Receiving calls by conventional postal delivery services has proven to have its share of challenges. Delays were sometimes a problem. 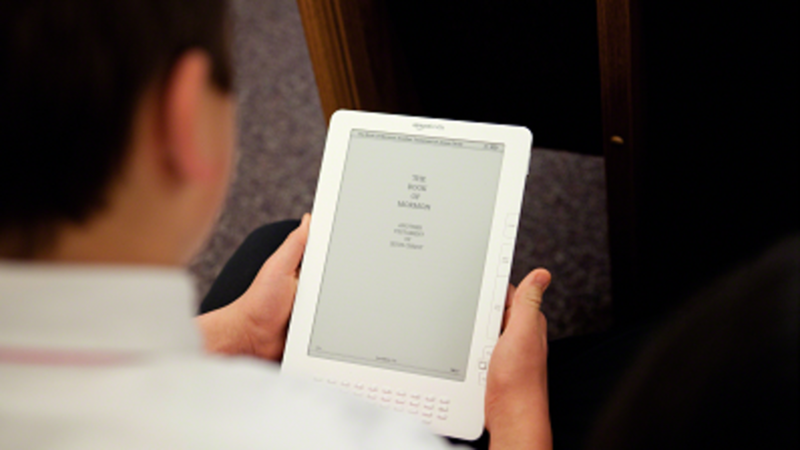 Some missionaries were made aware of their mission calls through inadvertent contact from the very mission that they were called to before their official calls had been received. We welcomed the opportunity to explore how email deliveries would affect those receiving mission calls. Editors’ Note: Because four of the seven young men had basketball practice after school, the group decided to begin progressive openings starting at 6:00 p.m. Each person would get 30 minutes, and this schedule worked well. The purpose was that all of these prospective elders could be together to support each other. Because Jeron Bennet lives 15 minutes out of town, he agreed to go first at the seminary building. First Opening: Jeron Bennett (parents Tom and Mindy Bennett) 6:00 p.m. Comments by Jeron: Never before in my life have I felt as much joy or excitement as I did when I opened my mission call. I was too happy to cry and had an overwhelming feeling of peace and readiness for my future ahead. I remember when I read the words 'Colorado Springs' it was music to my ears and sounded like the prettiest place on earth! Second Opening: Kaj Anderson (parents Ryan and Emily Anderson) 6:30 p.m.
Ryan: I am privileged to be in a dual role as father and bishop. Kaj is my son and Levi and Austin are in my ward. I received notice that my three priests had received their calls online. After I texted them that their calls would be coming soon, they all responded that they had already had received a text from the Mission Department indicating they could review their mission calls by tapping a hyperlink. Denise: Levi sent me a text message, at 3:00 p.m. on Tuesday, telling me that his call was in his mission portal. 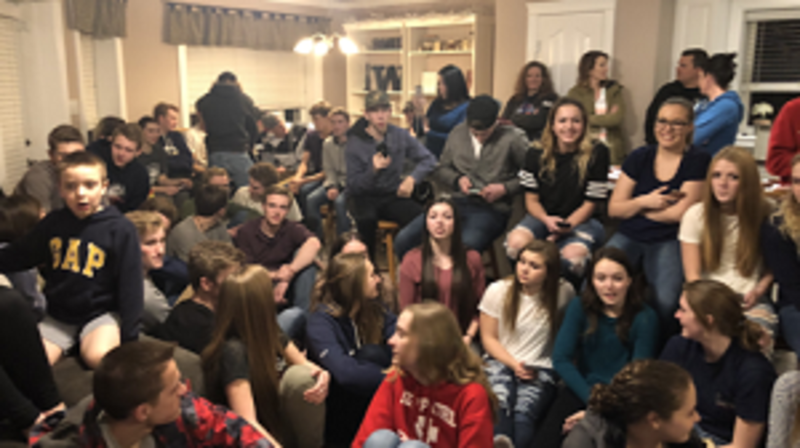 As they gathered, I especially took note of the high school youth in our home: some not members of our Church, some from less active homes. One of the basketball coaches, the young men’s president, seminary teacher, bishops and their wives were also present. It truly was a gathering of the community. As a parent, I felt an overwhelming outpouring of love and support for our son. Fourth Opening: Taylor Cook (parents Ron and Leisha Cook) 7:30 p.m. I believe this had a very large impact on the community. Since this is a small town of about 2000 people, everyone knows who you are. I know that my little brothers and extended family were especially excited to see me open my call. Others were brought to tears seeing us all share these joyous moments. One friend of mine who doesn't know if he wants to serve a mission came up and gave me a big hug. With tears in his eyes, he thanked me for being such a good example to him. I hope fervently that this will have a positive impact and will influence people who are on the fence to decide to serve a mission. Leisha: I feel the whole community was affected in a positive way! I think it really helped all of us get excited about missionary work. I was worried that they might compare their calls about where they were going to serve, but they knew that each one had received the Lord’s call—specifically for them. Because of that, they all felt happy with their assignments. It was such a unifying experience for the boys, and a very memorable day. Paycen: Getting my mission call was definitely one of the most exciting things to have happened to me. To receive it by email at the same time as six of my best friends made it even better. Starting at the first call, there were probably over 30 people. Plus, others were viewing online. By the time it reached my house, we counted over 90 people. It was amazing to see the love and support that we received from so many in our community. One of my favorite parts was seeing other boys in our stake, who were a little hesitant of going on a mission directly out of high school, immediately go to work to finish their mission papers. Presently, I know of at least five others in our small stake that have received mission calls, and another handful are just finishing their papers. In my family, my little brother has also mapped out all the cool things in my mission, including information about the Melbourne Australia Temple. Sixth Opening by: Austin Wocknitz (parents Brett and Michelle Wocknitz) 9:00 p.m.
Austin: On Sunday evening March 11, 2018 at our Stake Priest/Laurel Standard night, President Maxwell told each of us separately we would be receiving our calls on Tuesday afternoon. This made it feel a lot more real, which made me a bit more nervous, but getting to do it with my friends also made it a little easier. Tuesday morning, the seven of us talked together and decided what times would work best for our families. Michelle: Nothing like this has ever happened in our small town. These boys have known each other their whole lives. 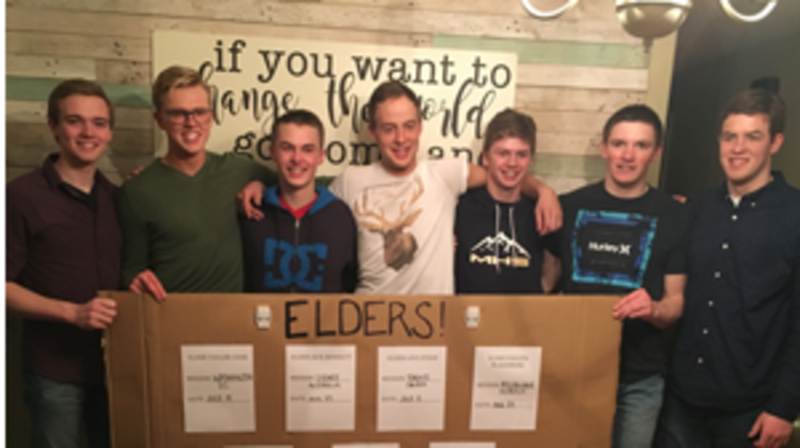 When word got out that seven boys would be receiving their mission calls all on the same day, it spread like wildfire. What an amazing experience it was to go to these young men's homes and see people of all ages, especially their peers (some less active, some not of our faith) and feel their excitement for these boys. Austin: At first, I was kind of disappointed, but an email was a whole new experience itself. My call came a lot faster, and it also made it easy to find information about my mission. Instead of opening a letter, I am glad that I was able to be a part of these beta-testing emails. I think many others would also enjoy this new experience. Seventh Opening by: Jack Bennett (parents Russ and Lindsay Barnett) 9:30 p.m.
Lindsay: To know what day the calls were coming was fantastic. We could plan and have people there to support Jack and the other boys. When Jack’s turn came, our house was so full that I stopped counting at 130 people. There was such a sense of love and support for all of these boys and their families. President Maxwell came to our home a little early to print off the call. After Jack had signed into his portal, President Maxwell printed it and put it in an envelope for him to open. Everything about this experience was uplifting and a gentle reminder that our Saviour is very aware of us personally. Jack: Throughout that mission call day, we were continually checking our phones to see if any of us had received our calls yet. I can distinctly remember that Austin, Paycen, Jeron and I were sitting in chemistry at 3:00 and our phones went off. Austin grabbed his phone, then looked at me; then we looked at Paycen; then we looked at Jeron. Sure enough, our mission calls had come. Not only did it unite us as young men, but it united all our families and community together as well. Our parents came to each of our call openings, and the anticipation hung in the air for them as well. The parents were all hugging each other because they could relate to having a member of their family leaving. It truly showed that we care about each other and that we are here for each other too.